For most applications, individual battery cells do not have the required voltage, capacity, or more often both. After selecting a suitable battery cell with the customer, the modularisation phase follows which sees large volumes of single cells assembled into larger building blocks. With the help of a serial-parallel connection of the individual cells and the installation by the control electronics (BMS), a basic building element, the so-called module, is created. 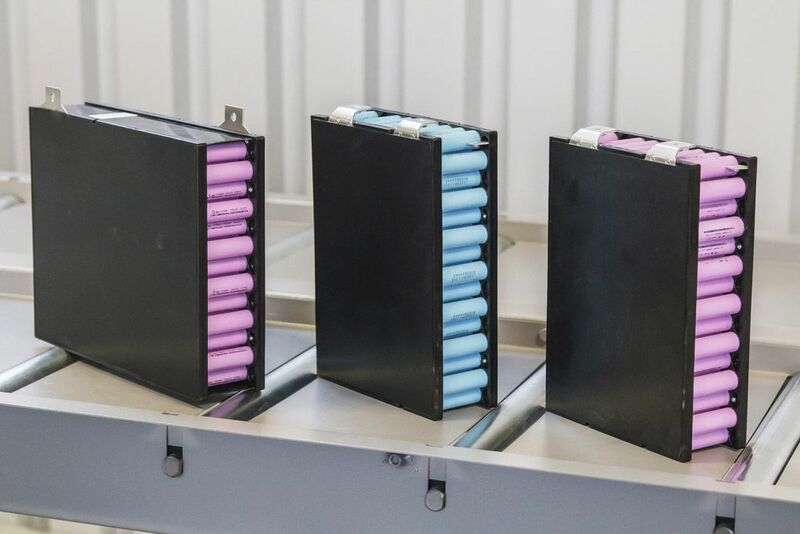 When designing traction batteries in EVC, we prefer to install the stacks into standardized module sizes, especially to ensure serial production and reduce customer costs. For larger applications, the modules are fitted into battery cabinets in a way to meet again the required nominal voltage and capacity. On the other hand, some small applications, work with one module and a simplified version of the BMS. The EVC battery modules are not just a mechanical assembly of individual cells into larger systems, but a rethinking of the experience of dozens of vehicles to ensure the highest ratio of volume and weight energy density is achieved. They respect the dilatation of individual cells (especially for pouch construction type cells), cooling demand and mechanical resistance. In case of cylindrical cell-based modules, each cell is protected by a current "fuse" in the form of a deliberately weakened melting jumper.